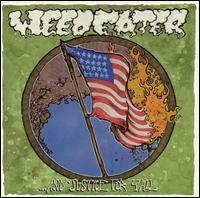 A 3 piece Stoner/Sludge/Doom Metal band from Wilmington, North Carolina. Formed in 1998. Features Dave "Dixie" Collins (ex-Buzzov*en, Bongzilla, Sourvein) on bass/vocals, Shep on Guitar and Keko on Drums. 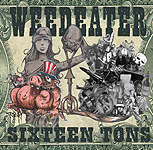 Weedeater have released two albums to date, in 2001 they released their debut "And Justice For Y'all" and in 2002 they released the follow-up "Sixteen Tons", produced by the legendary Billy Anderson. The band have now been signed by Southern Lord Records and released their third Album "God Luck and Good Speed", this time produced by Steve Albini.